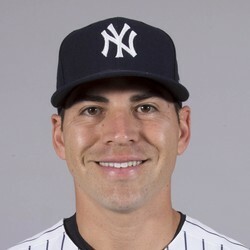 Jacoby Ellsbury (hip, foot) reported to Yankee camp and took his physical on Sunday. He will now resume baseball activities. Ellsbury missed all of 2018 and had hip surgery in August. He has since dealt with plantar fasciitis and it's unclear if the Yankees expect him to contribute at all this year. The former speedster was signed to a seven-year, $153 million contract following the 2013 season.